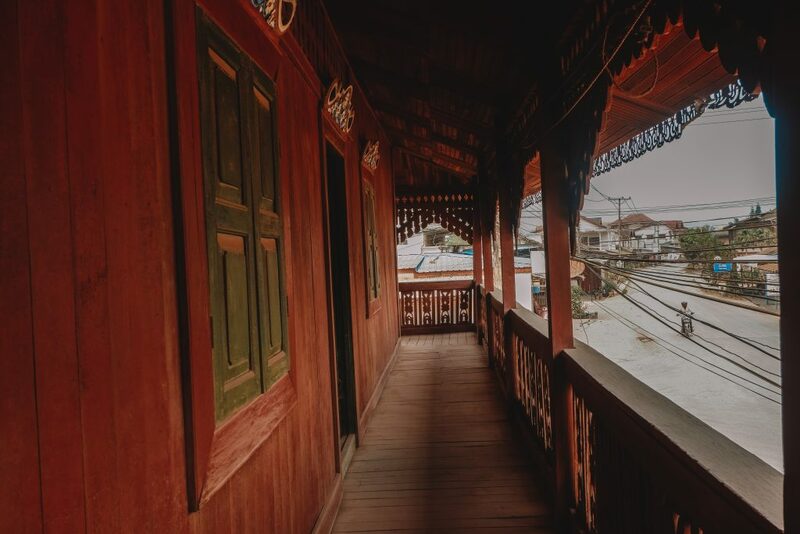 The Muang Sing District is tucked away in the northwest corner of Luang Namtha at the border of Laos, Myanmar, and China. 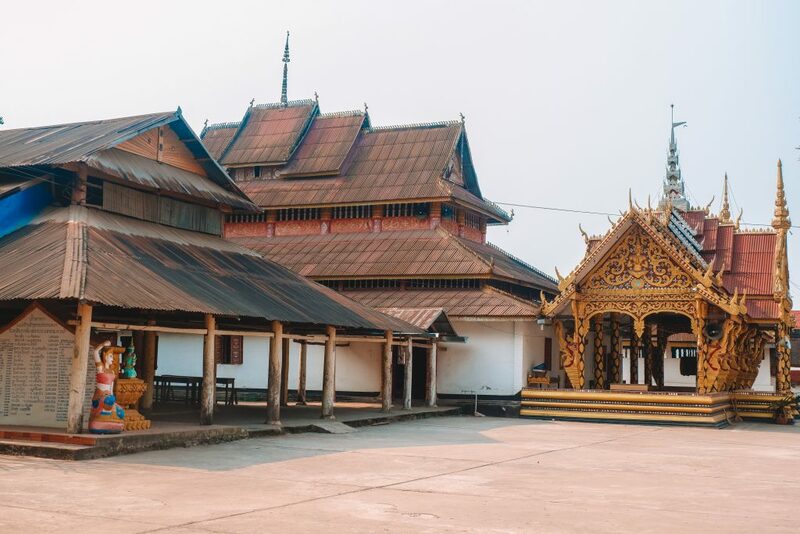 Aside from its interesting geographical location, it’s also one of the most diverse locations in Laos with a colorful history, rich tapestry of culture, and amazing nature. Muang Sing might be rather off the radar when compared to some tourism hotspots like Vientiane, but it’s a bustling city akin to an eco-adventure land with mountainous and forested terrain, great for activities like hiking and biking accompanied by ethnic village encounters from the bright community, lovely educational homestays, and camping. 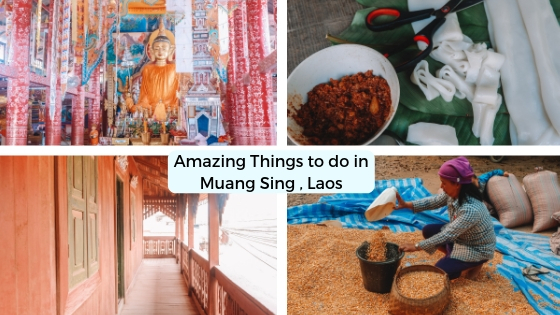 Without a doubt, a visit to Muang Sing is one of the best ways to get in touch with the rural communities, getting a chance to delve into the olden traditions and culture of the city’s ethnic groups, all while enjoying the wonderful landscapes the district is blessed with. 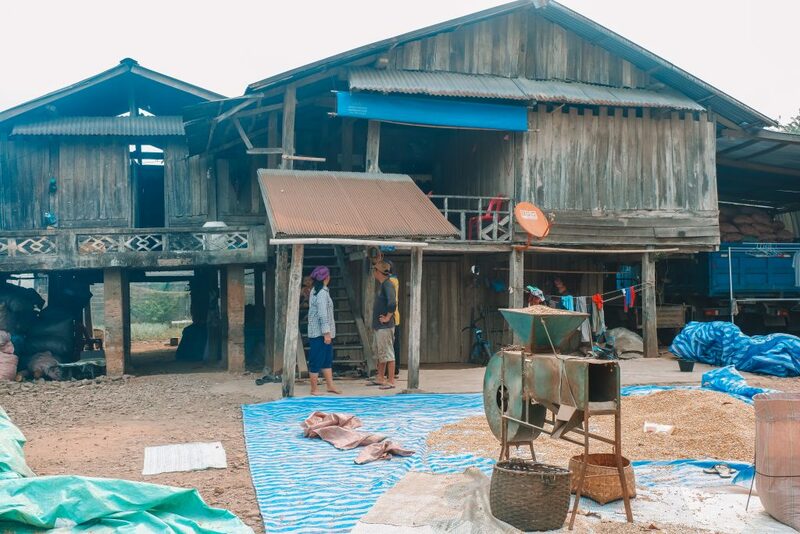 Muang Sing is home to 9 different ethnic groups, each of which have their own traditional clothings and customs. Nowadays, however, their traditional garbs are often mixed with more modern attire. 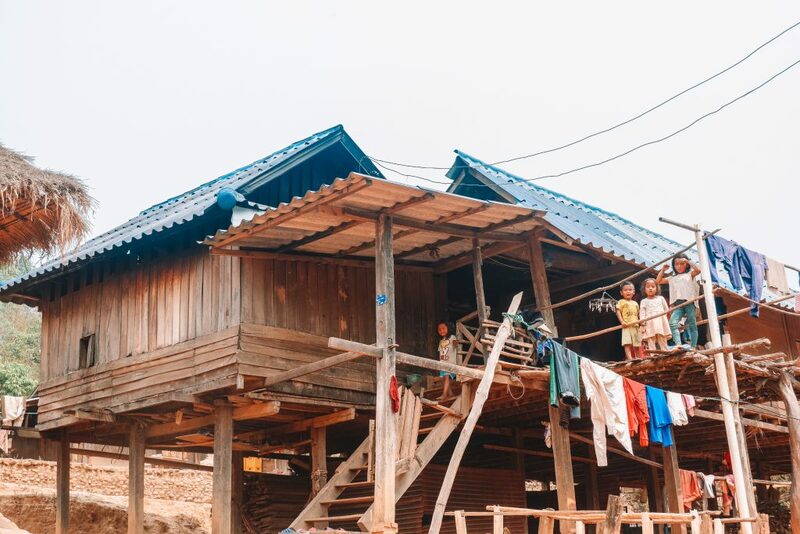 The majority of the citizens in the area are members of the Akha Tribe, accounting for about half of the residents followed by the Tai Lue which consist of a little more than a quarter of the population. 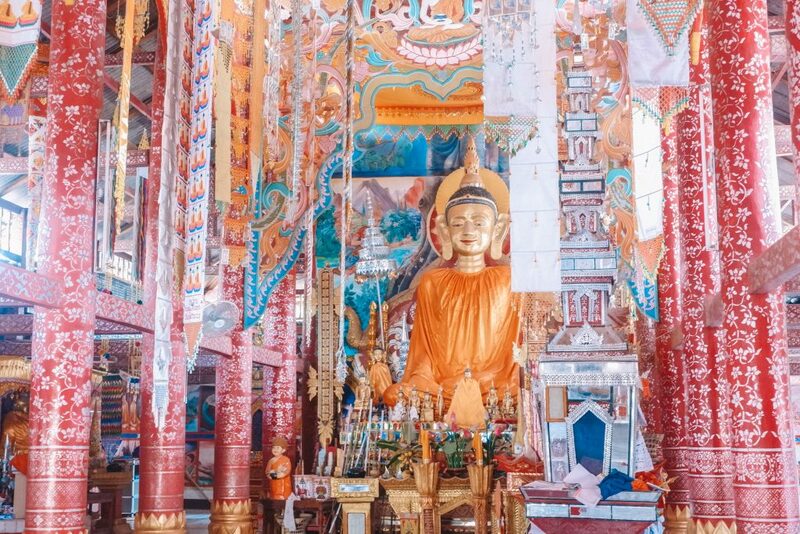 Muang Sing is located at the far northwest of Luang Namtha close to the Chinese border, specifically the Yunnan province – so you can expect a lot of Chinese visitors and tourists flowing in especially during the peak sunny seasons. It’s also 2 hours away from Luang Namtha, the capital of the province and another great destination to visit when in Laos. lasts from May to October, making it hard to do some of the outdoor activities the city is well-known for. It’s still a good time to do a homestay and immerse yourself with the local culture, however. lasts from November to February, with temperatures dropping as low as 5 degrees celsius. This is a good period for outdoor adventures like trekking, biking, Mekong river cruising, and viewing waterfalls. is from March to April, consisting of the hottest months in the year with temperatures as high as 40 degrees celsius. Still a great time to explore, but be sure to lather on lots of extra sunscreen. Drive from Luang Namtha to Muang Sing – approximately 2 hours. 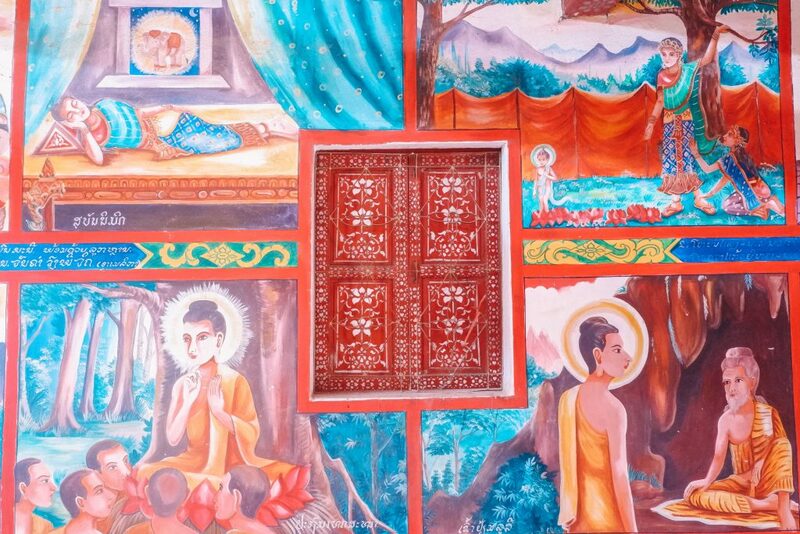 We personally took a day trip from Luang Namtha to Muang Sing. On our way there we stopped by some street stalls where we saw some Akha tribe members – they were selling Maku nuts, which we described as a “non-peanut-peanut”. We also saw some rattan. Our first stop was whiskey making. And I do know it sounds strange, making whiskey before breakfast. 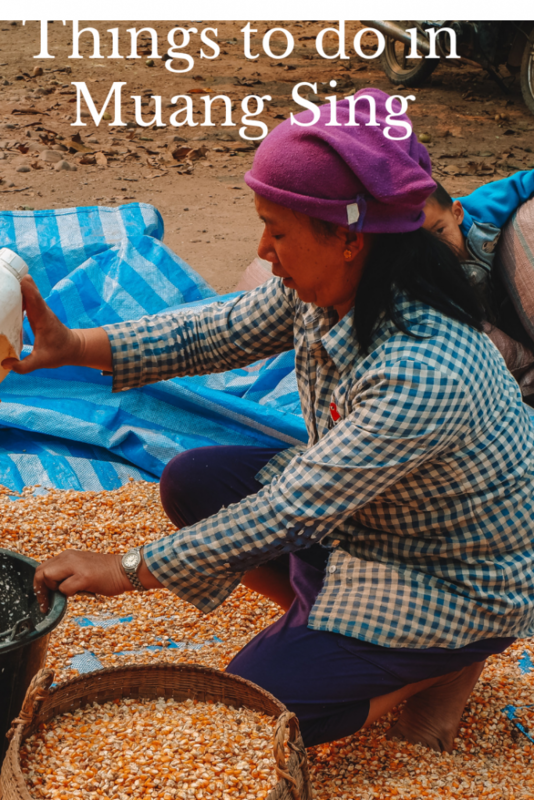 What’s interesting about Lao whiskey is that it’s made out of corn! We watched the entire process. 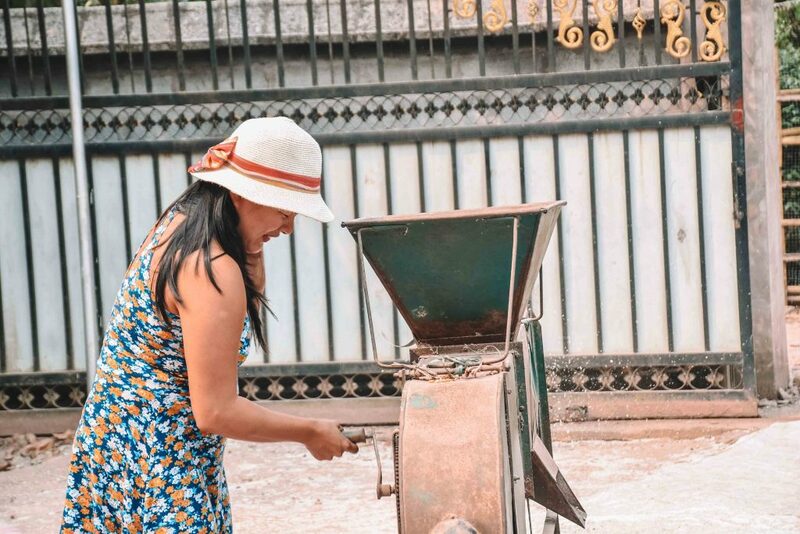 We were taught how to husk the corn – which is actually quite easy, especially with the use of their provided machine. 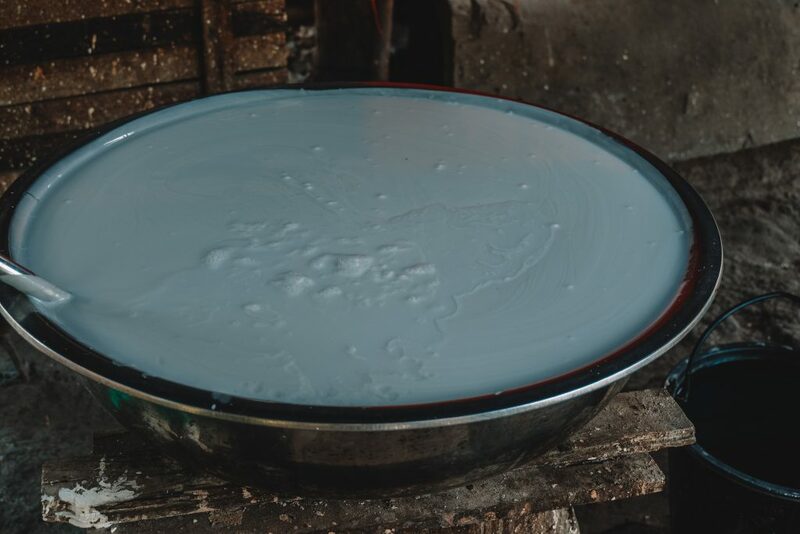 Once the finished product was done, we were able to have a try and I have to admit it’s quite strong – and to think Lao people actually drink some to help fall asleep at night. Noodle-making is quite a craft in Laos, to the point where people wake up at 2 or 3 AM to start whipping up dishes for the morning crowd. 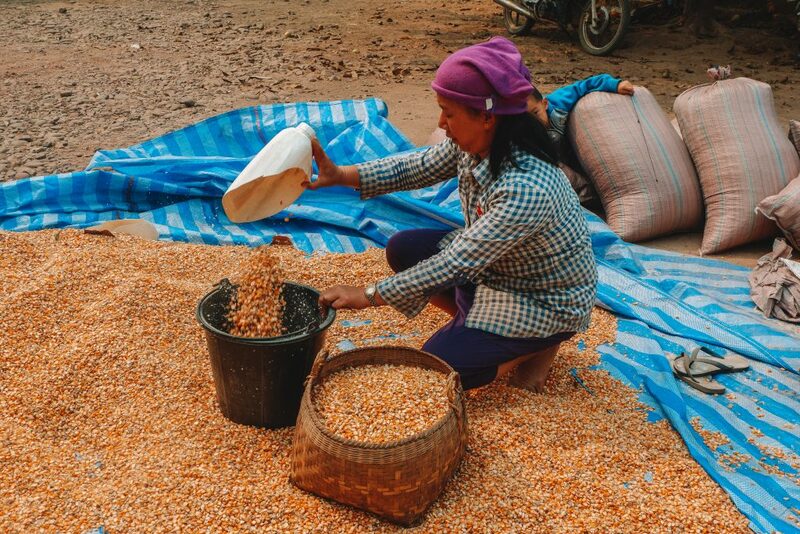 We were taught the different steps in the Khao Soi noodle-making process, which happens to be Luang Prabang’s signature dish. 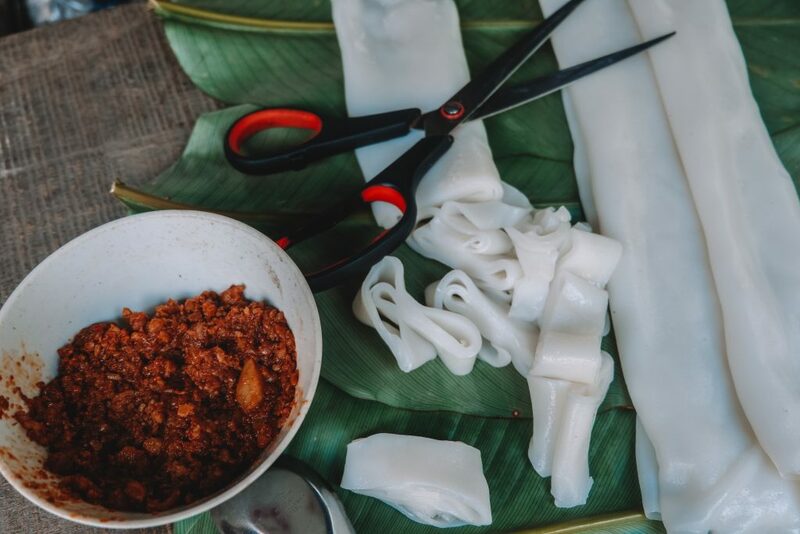 “Khao” stands for rice, and “Soi” stands for cut – thus, cut rice noodles. Aside from its actual name, the noodle meal is also fondly referred to as “sen nyai”, which means big noodles. They showed us how to lay down the thick, glue-looking noodles onto a tray, followed by heating them up and letting them dry. 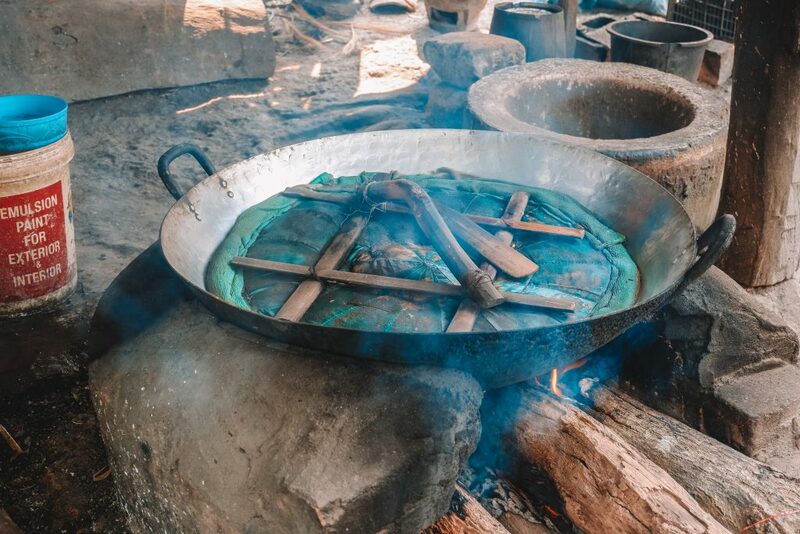 The noodles are then placed into a hearty broth and paired with lots and lots of veggies to make the authentic Khao Soy produced by the Tai Neua, that the people of Sili Heuang Village all know and love. 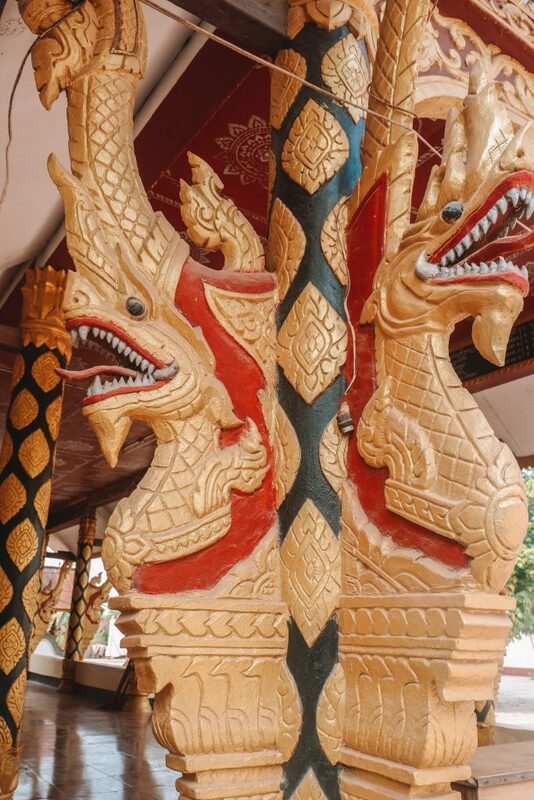 The Muang Sing museum is located near the center of town, making it a great starting point for exploring the city’s rich cultural heritage. 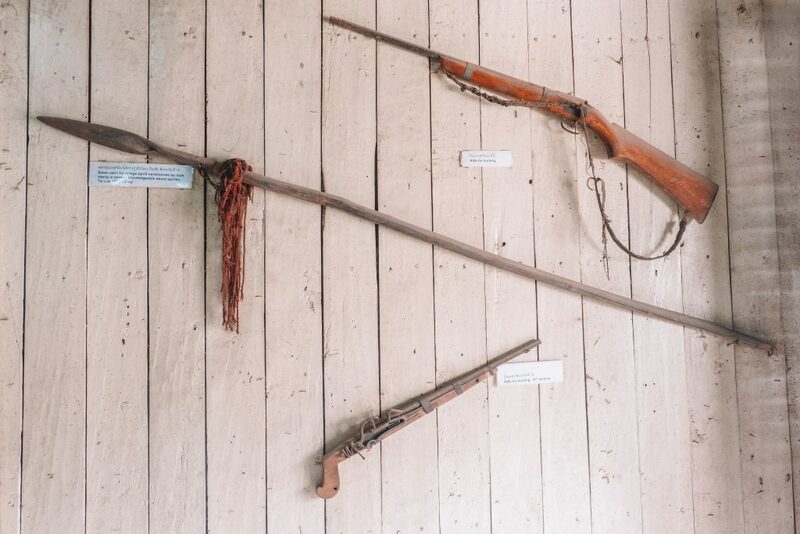 The museum was once the home of Phanya Sekong, also referred to as the “Little Prince”, in the 20th century – he was a lord who ruled over the area. Due to its age the building has worn down but it was since restored in 2005. Inside you can see many relevant pieces and artefacts, such as weaponry and pieces originating from the local ethnic groups. Entrance costs 5000 kip as well as an additional 5000 kip if you would like to watch a film concerning the Akha tribe. 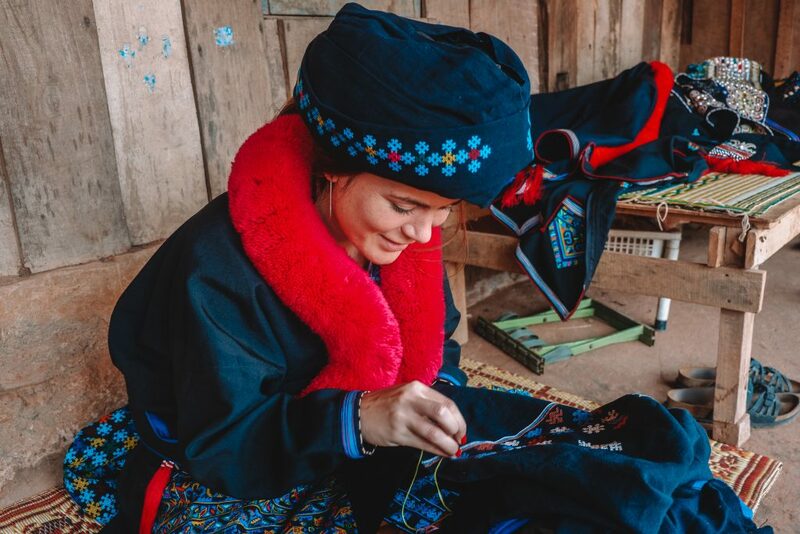 We visited the Yao village, an ethnic group in Laos which prides themselves on their amazing, handmade Yao costumes. We visited the handicraft center and the Yao people let us try their work! The clothes for women consist of a turban and a long robe in either black or blue, laced together with a sash typically featuring an embroidered design. Bushy red yarn is also sewn on to the front and back of the costume, one of the main motifs of their work. The clothes of men are a bit more simple, with a loose jacket still featuring the red yarn and embroideries, coupled with dark trousers. The costumes were quite pretty, and it’s intricate designs and handiwork make evident just how skilled the Yao people are when in comes to dyeing and decorating fabrics. We also visited an Akha Village. The Akha are a tribe in Laos which resides mostly in the hilly areas, sustaining themselves on a primarily agricultural lifestyle. They have a belief system centered around animism and hold high regard for their ancestors and the natural world – they also value rituals in their daily lives, considering it an important part of being a member of an Akha. 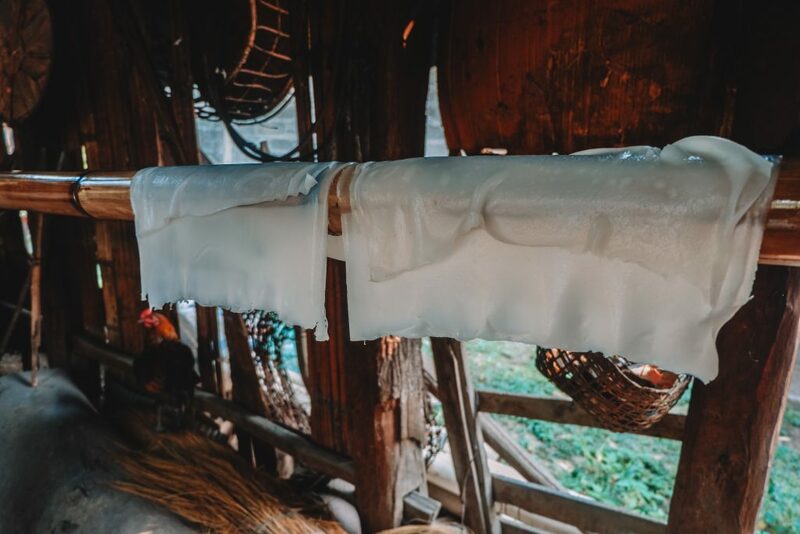 Aside from agriculture, the Akha women are also very skilled in the art of traditional massages and making their own whiskey blend which actually contributes a lot to the village’s income. As for their traditional clothing, it’s very elaborate and beautifully made. 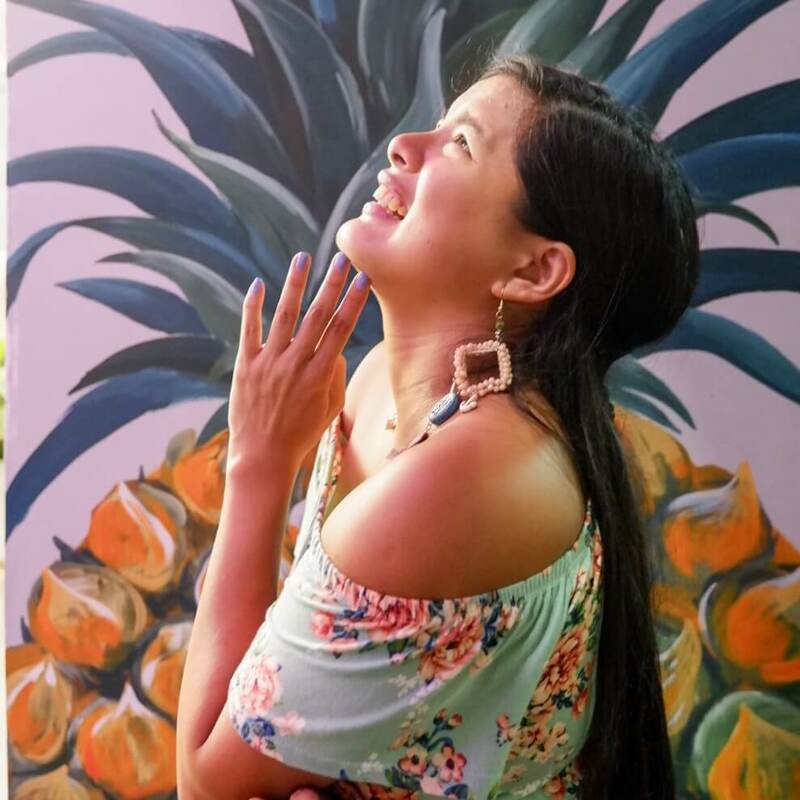 They have their attire spun from cotton and hemp as well as smocks (for women) and jackets (for men) which are designed with intricate and colorful embroidery. In addition to the carefully-designed textiles they wear, the Akha also add accessories such as feathers and silver coins to their outfits, making for costumes that are without a doubt works of art in their own right. Akha women also wear headdresses made from cotton and colored wool, as well as various decor including but not limited to tassels, bells, and coins. These headdresses are not just for design but also to protect themselves from rain and shine. We visited a sacred temple called Wat Na Keo Luang, also called the Monastery of the Royal Stupa which is easily noticed from afar by its bright golden gates. 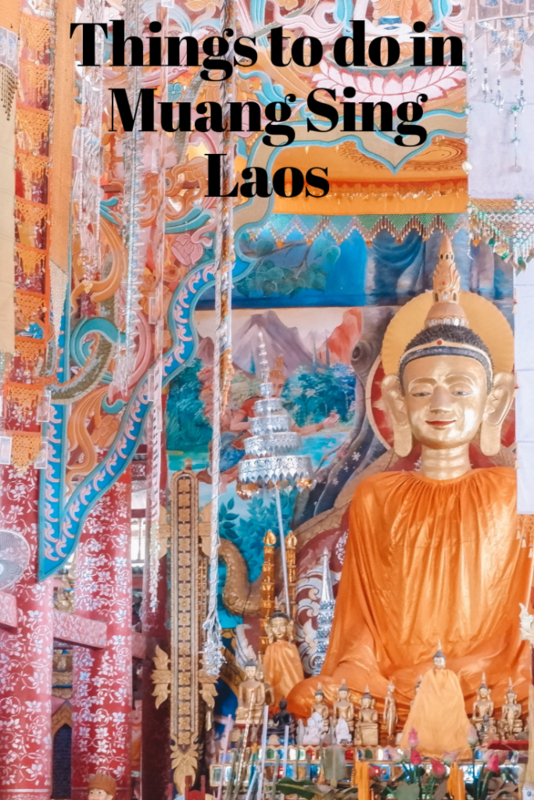 Aside from the ancient relics relevant to not only Buddhist practices but also the history of Laos, you can also pray about most anything – ask about your future child’s gender, and hope for your heart’s desires. 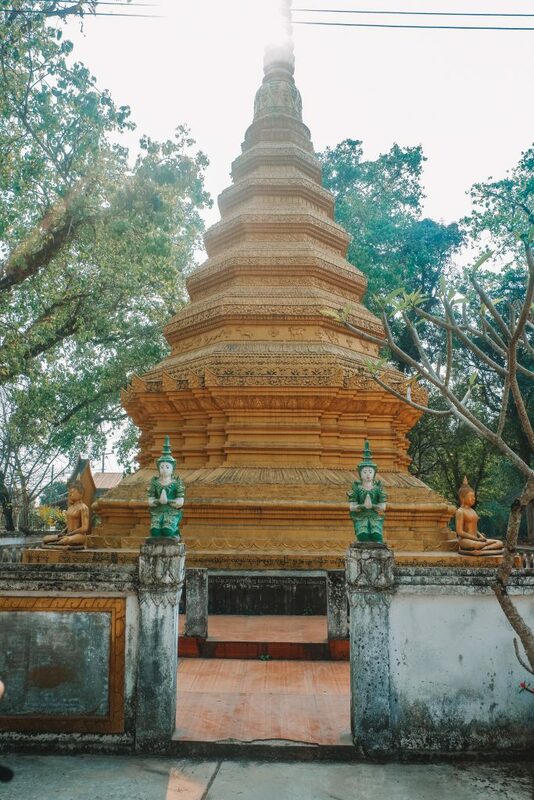 One of the most important stupas in Muang Sing, and is also home to the biggest festival of the year – theThat Xieng Tung Festival! It’s held on the full moon of the 12th lunar month, usually in late October or early November. Expect to see the gathering of patrons from all over the Luang Namtha Province, coming together in celebration. 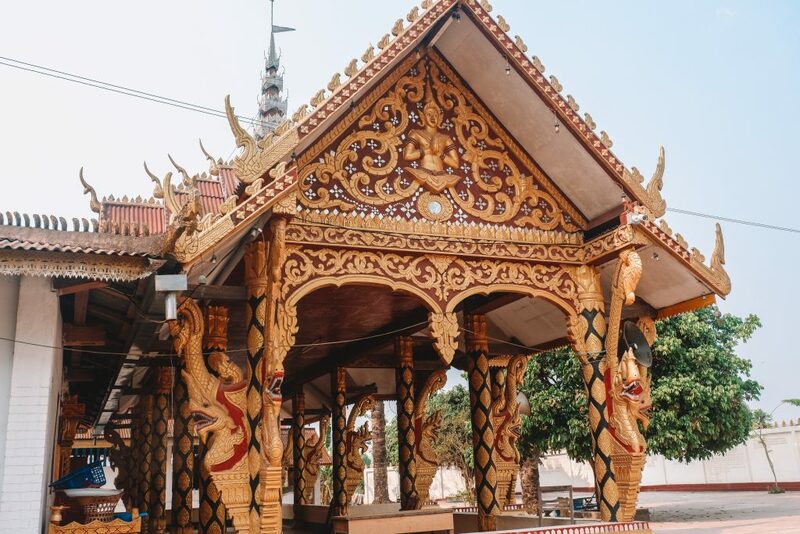 During the event, you can find the streets nearby lined with lots of delicious Lao street food, dance performances, and candles and flowers glimmering all over the base of the stupa. Muang Sing is known for its stunning environmental sights and sounds, a great place to go on adventures to explore their terrain. 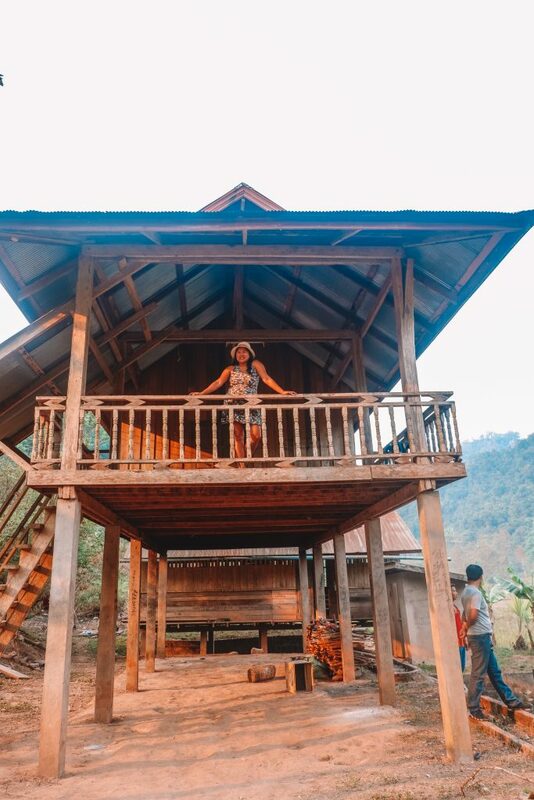 Here are a few of the best eco-tours in Muang Sing to help you catch a glimpse of the natural wonders the lovely city has to offer. There are many biking tours available in Muang Sing, just like the ones offered by Adventure Asia which takes you through the Muang Sing Valley, allowing you to take in the mountains, farmlands and greeneries all while learning some facts about the history and state of the city. 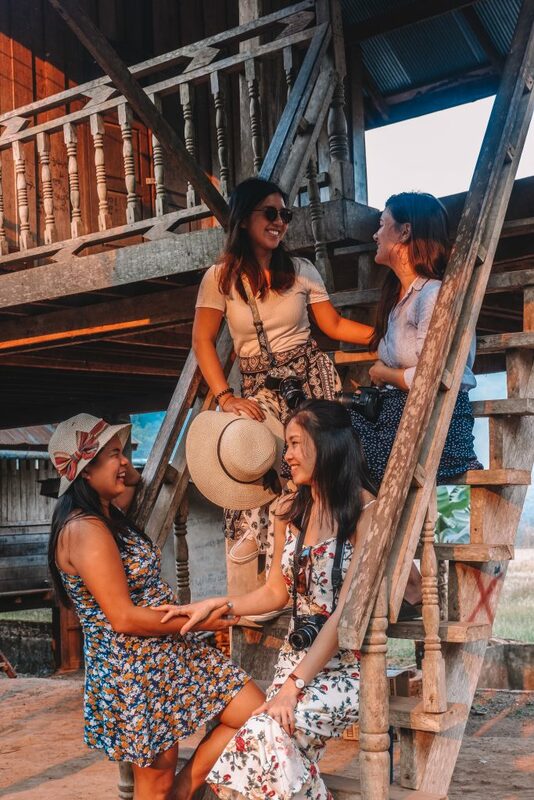 Let the Lao lifestyle sink in by becoming one of the locals for a few days, soaking in the culture and everyday practices of the rural community – both an unforgettable educational experience and a nature pilgrimage all in one. Go on a trek to Pawai, a travel that takes you through some of the most rural areas full of mountains and greenery as far as the eye can see, enjoying the company of the locals you meet along the way and at your destination. 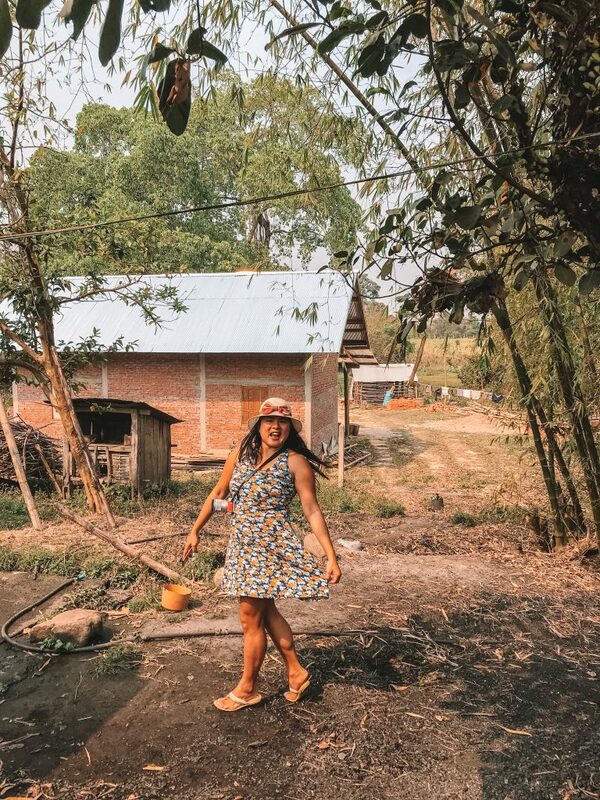 Experience what life is like living outside the comforts of hotels and resorts by going on a jungle homestay, delving into more traditional ways of living with the words and stories of the nearby residents as entertainment instead of the bright screen of your social media feed. 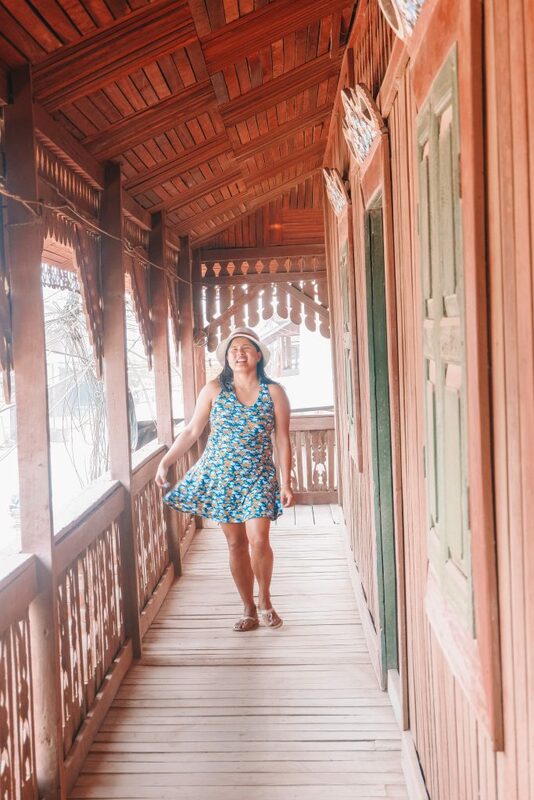 Visit the Laosee village near Pawai on a day tour and just spend time exploring the lands untouched by urbanization and concrete jungles – the perfect opportunity to learn by communicating and immersing yourself with the people living in the area. 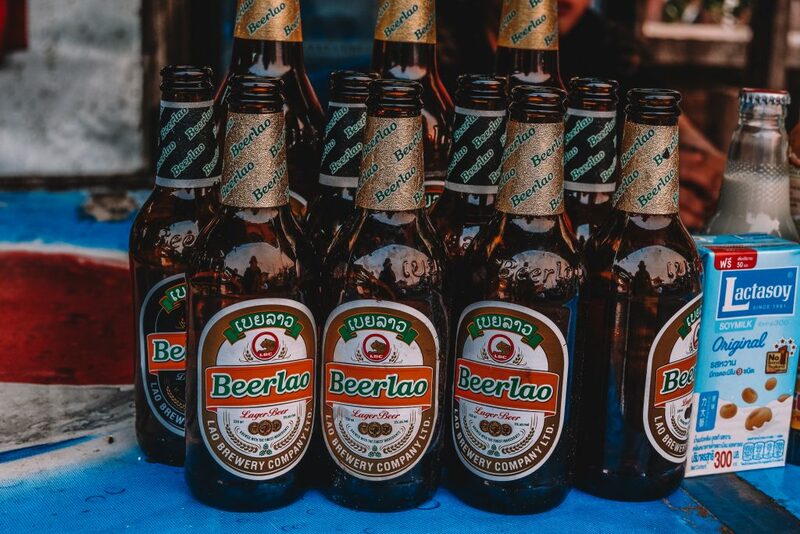 A type of beer produced exclusively in Laos made with malt and rice to product a light and crispy beverage renowned as a favorite not just in Asia but all over the world – a perfect refresher after a long day of exploring the Muang Sing sights. 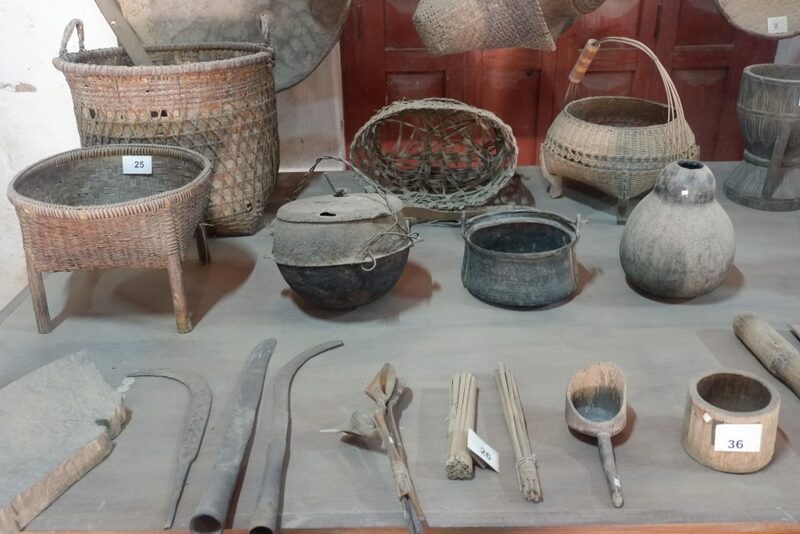 Rattan is used for furniture but in Laos, its functionality doesn’t stop there! 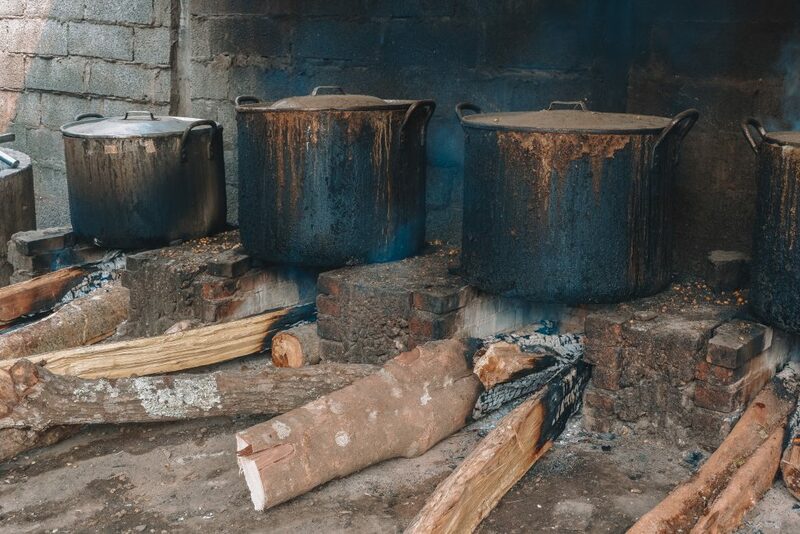 Locals like to put some rattan in when boiling stews and soups for that extra bitter flavor that gives a dish its earthiness and depth. 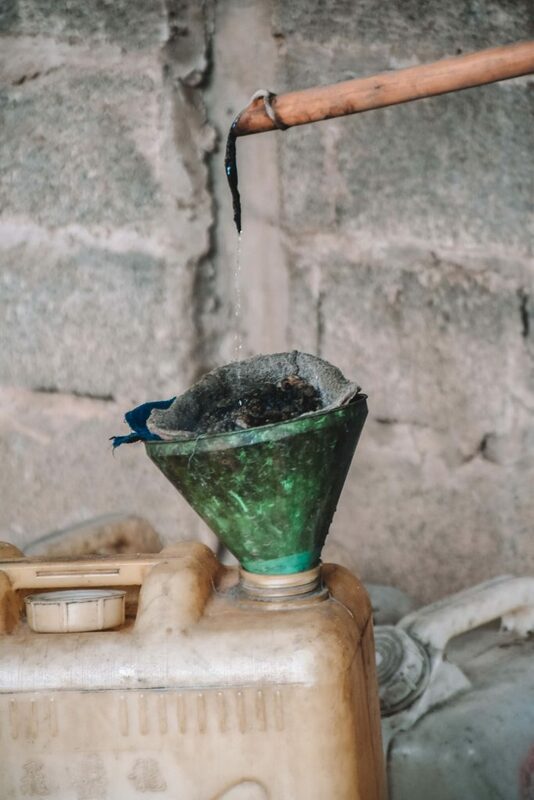 The strong rice whiskey is a great try, not just for the taste but also for the fact that sales support the livelihoods of the local communities, since the production of whiskey accounts for their second largest income source. A Laotian rice noodle soup made with a hearty broth, minced pork and thick noodles with lots and lots of veggies and chili sauce on the side – a perfect breakfast to brighten up your daybefore going off exploring.